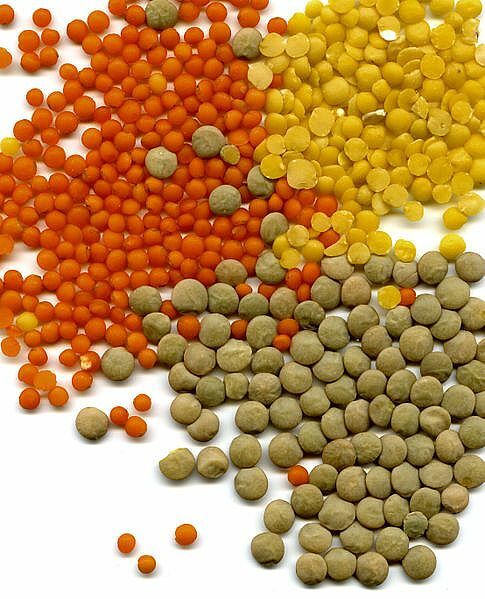 Lentils are a traditional food to make a fantastic recipe. On New Year's Eve in Italy people eat "lenticchie stufate" or in a soup. Why? This is an old symbol of good luck in the Italian tradition, because of their round shape, which is resembling coins. So you need to eat a lot with "cotechino", meaning a mild-tasting, slow-cooked pork sausage and in this way you will ensure money and prosperity for the coming year. First soak the lentils for 1 hour in cold water to cover. Then drain; and place them in a pot. Cover with cool water, then add some rosemary together with 2 cloves of garlic. Bring to a gentle boil, and simmer for 20 minutes. Drain and discard the rosemary and garlic cloves. Heat the olive oil in the same pot and add the remaining rosemary and garlic. Add the lentils, some broth, salt, pepper, and tomatoes. Stir well. Cook until the lentils are tender and most of the liquid has been absorbed, about 20 minutes. This entry was posted on Friday, December 28th, 2012 at 8:06 pm	and is filed under Italian Recipes and Food. You can follow any responses to this entry through the RSS 2.0 feed. You can leave a response, or trackback from your own site.